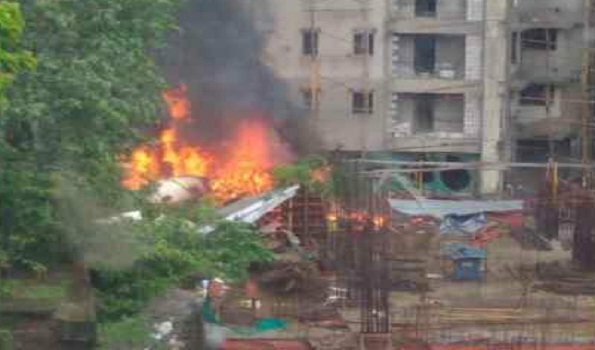 Mumbai: Five people were killed on Thursday when a Chartered aircraft hit an under construction building at Ghatkopar (W) here. The aircraft belonged to UP Aviation and was in service since August, 1995. The plane VT-UPZ, KING AIR C90 had taken off from Juhu for testing, a ground report said.A pedestrian was also among those killed in the incident which took place at 1330 hrs near Sarvoday Nagar. Mumbai's Metropolitan Fire Brigade, 108 ambulance service and police services have been mobilised. Five fire tenders and disaster management teams were pressed into service, authorities said.